Today we celebrate Valentine's Day.....the day of love. I am married to my high school sweetheart. The man that I love with all of my heart and who is my best friend. He is who God chose for me....and God never makes mistakes. My husband and I have been married for almost 23 years. I would like to think that we have done so well because we practice 1 Corinthians 13. (I love this chapter!) 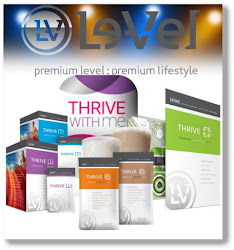 Please take the time today to celebrate the love in your life! On average, over 36 million heart-shaped boxes of chocolate are sold for Valentine's Day each year (equaling out to about $1 billion worth of chocolate). The ancient Romans celebrated the Feast of Lupercalia on Feb. 14 in honor of Juno, the queen of the Roman gods and goddesses. Juno was also the goddess of women and marriage. In order of popularity, Valentine's Day cards are given to teachers, children, mothers, wives, sweethearts and pets. If you see a flock of doves on Valentine's Day, you will have a happy, peaceful marriage. Approximately 110 million roses, mostly red, will be sold and delivered within the three-day Valentine's Day time period. A love knot is a symbol of undying love, as its twisting loops have no beginning and no end. In the past, they were made of ribbon or drawn on paper to prove one's eternal love. To be awoken by a kiss on Valentine's Day is considered lucky. In the Middle Ages, young men and women drew names from a bowl to see who their valentines would be. They would wear these names on their sleeves for one week. To wear your heart on your sleeve now means that it is easy for other people to know how you are feeling. Casanova, well known as "The World's Greatest Lover," ate chocolate to make him virile. "Quirkyalone Day" is celebrated on February 14 as an alternative to Valentine's Day. It is geared toward people who "resist the tyranny of coupledom." Another alternate Valentine's Day celebration is SAD (Single Awareness Day), which reminds people that they don't need to be in a relationship to celebrate life. Women purchase 85% of all Valentines. In Medieval times, girls ate unusual foods on St Valentine's Day to make them dream of their future husband. Approximately 145 million valentines are sent in the U.S. each year according to estimates by the U.S. Greeting Card Association. That's second only to Christmas with 1.6 billion units, and is followed by Mother's Day with 133 million units. On Valentine's Day, the first guy's name you read in the paper or hear on the TV or radio will be the name of the man you will marry. The oldest surviving love poem till date is written in a clay tablet from the times of the Sumerians, inventors of writing, around 3500 B.C. Every Valentine's Day, the Italian city of Verona, where Shakespeare's lovers Romeo and Juliet lived, receives about 1,000 letters addressed to Juliet. Thank you for stopping by The Active Mum! It's my pleasure to return the favour! 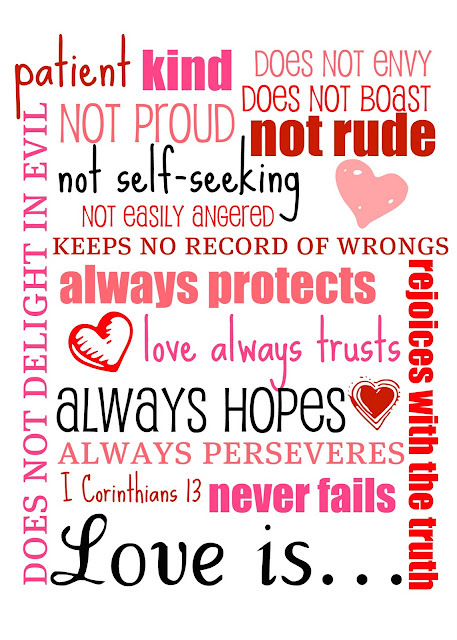 :) That is one of my favorite scripture passages and I love all the Valentine facts. I know I'll def be contributing to that chocolate consumption! Happy Valentine's Day! Fun Valentine trivia! Have a great Valentine's Day! Happy Valentine's Day to you and Bro. K! The McElhaneys love your family! Nice! 24 years! My parents are about one or two years away from reaching that mark too. (: Congratulations! fun facts. I just posted that scripture yesterday as part of my Poetry and Photo Series - not technically poetry, but it was Ash Wednesday and I like it! I love the graphic & the fun facts! Congrats on 24 years!!! Found you through the Tidbit Thursday Link Up. This is is really wonderful. 23 years is a big deal, and your words to back them up are inspiring! Do You Want Beautiful Roses? What Kind of Cookie are You?